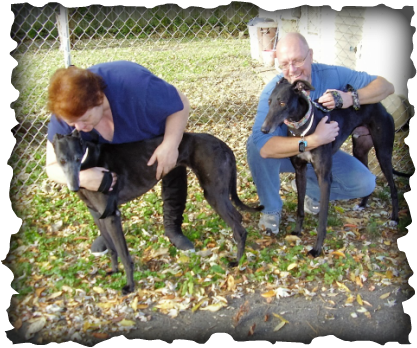 Christine and Gary of Xenia adopted their first greyhound in July and have known for a while they wanted another. Bacchus was a little anxious being the only greyhound and his humans knew he would benefit from a female companion. Enter Tranquil Trish, now called Hera, who was the perfect mellow girl the family needed. It looks like Hera will be a mama's girl, which suits Christine just fine.